Is Vitamin-D A PriorityTreatment For Fibromyalgia? Is Vitamin-D A Priority Treatment For Fibromyalgia? The proper form and usage of Vitamin D3 as one adjunctive therapy should not be overlooked. Researchers have found that vitamin D is helpful in the treatment for fibromyalgia by reducing some of the symptoms and pain levels. It is however important to understand that a treatment is not in any way a 'cure'. It is simply addressing one root issue or deficiency that could be exacerbating symptoms within fibromyalgia and related conditions. Yes, vitamin D3 has been getting a lot of attention within the health media in the recent years and rightly so. Vitamin D (actually a hormone) is responsible for many functions within the body. It is vitally important for immune status and well-being. Both of which can elevate our quality of life, even more essential due to the many complexities and variables when living with fibromyalgia. 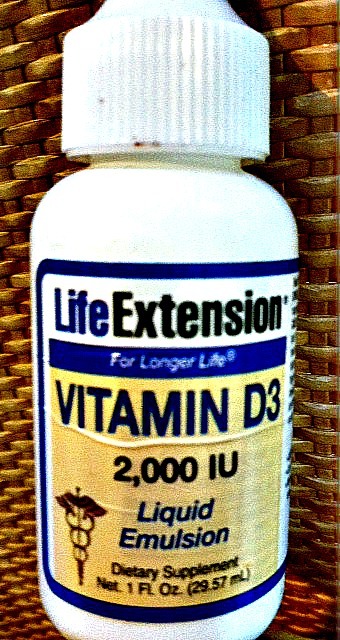 We have long known that vitamin D is an essential nutrient for healthy bone density and for a strong immune system. So, it should be no surprise that it is helpful as part of a total treatment plan for fibromyalgia. deficient in this critical nutrient? There are many factors. Malabsorption or lack of nutrient rich co-factors in our food and environment are more common today. Another common issue for many people is lack of sun, either for the reason of avoidance OR in the winter months when sun exposure is naturally lessened. And, even though vitamin D is synthesized through the skin from exposure to UVB rays in sunlight, as we age or if we are living with a chronic illness, we may not be synthesizing as much. Now the most optimal way to obtain vitamin D is through moderate and consistent sunlight, however it is also vitally important to check medications that may react to sun exposure and reduce acid by eating a naturally alkaline diet. Acids from sugars, smoking, medications, etc. can make people less tolerant to the sun. Vitamin D has an important role as a treatment for fibromyalgia for many reasons including the involvement of our often compromised immune systems. Especially for those of us who also have one or multiple auto immune illnesses along for the ride. Reduction of inflammation is another essential role found in studies of treatment of fibromyalgia with vitamin D and newer studies done with autistic children. These studies have shown a reduction in pain levels in some patients with fibromyalgia while also showing marked improvements in children with autism. The reason that we may be even more interested in this recent research is due to the commonalities in the underlying root causes in many of these auto immune and inflammatory conditions. Recent research has also shown that vitamin D upregulates glutathione, which is an essential antioxidant for those with fibromyalgia and any auto immune illness. All of these recent findings suggest that vitamin D is an essential nutrient for those with FMS as well as most of our older, non-fibro population. Note: Many of these more recent studies and findings can be found through "Life Extension" research..
should we be getting every day? It has been found that the vitamin D in many multi vitamins is not adequate for people who have deficiency. The current RDA for vitamin D3 is 2,000 IU upwards to 10,000 IU for those with known deficiency. Note: Vitamin D supplementation needs to be monitored by a doctor for patients with high blood calcium levels and may need to be avoided for that reason. A liquid D3 emulsion is optimal for best absorption. I promote and use this brand because it is effective and has no additives. Tolerance and absorption is key. to take certain nutrients ? The answer is yes... Since vitamin D is a fat soluble nutrient, and because we best absorb and utilize fats when bile flow is highest (generally in the middle of the day) we want to take our vitamin D3, preferably liquid emulsion, with or after lunch. This will promote optimal absorption. I have found that the liquid D3 emulsion is not only the most effective vitamin D treatment for fibromyalgia but very easy to take, especially for those who have an aversion to taking pills. Be patient with vitamin D supplementation .. this critical nutrient is beneficial for multiple systems within the body, so even if you don't feel a dramatic change, please know that vitamin D in the proper form is 'treating' you and your immune system in various ways. Talk with your doctor if needed. Avoid D-ficiency…. get tested….get optimal absorption and work on getting pain levels down. Reducing levels of pain, reducing symptoms ..THAT is living smarter.